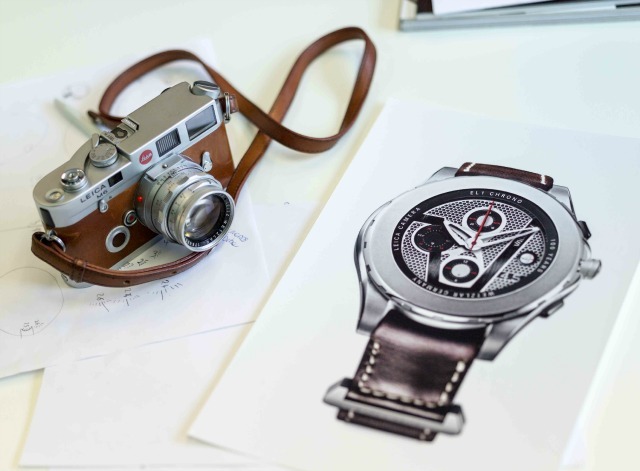 Need a Watch With That Leica M-A? Valbray, a Swiss watch maker, has been producing a very interesting timepiece for several years now, and for 2014 has released a limited edition “EL1 Chronograph” model in collaboration with the famed German high-end camera maker Leica. The core concept of Valbray is to have in iris-style shutter on the dial that the wearer and open and close at will, by twisting the bezel. What does this do? It offers people who own Valbray watches the opportunity to fundamentally change the look of their watch dial. Valbray watches can go from having a totally open dial, exposing the chronograph mechanisms on the lower face, or the shutter can completely close, offering a more minimalistic look–and everything in between. This entry was posted in Leica, Leica Film camera and tagged Leica M-A on June 17, 2014 by Leicaphila.